Shine, sheen, gloss: Whatever adjective you choose to use, when dealing with hair, you want your mane to gleam like glass and radiate health. But if a fine veil of dandruff — those tiny white flakes of dead scalp skin — interferes, that gorgeous luster disappears. And if those flakes start to migrate beyond your scalp and hair? Well, it can be rather embarrassing to constantly dust off your shoulders in public, to say the least. 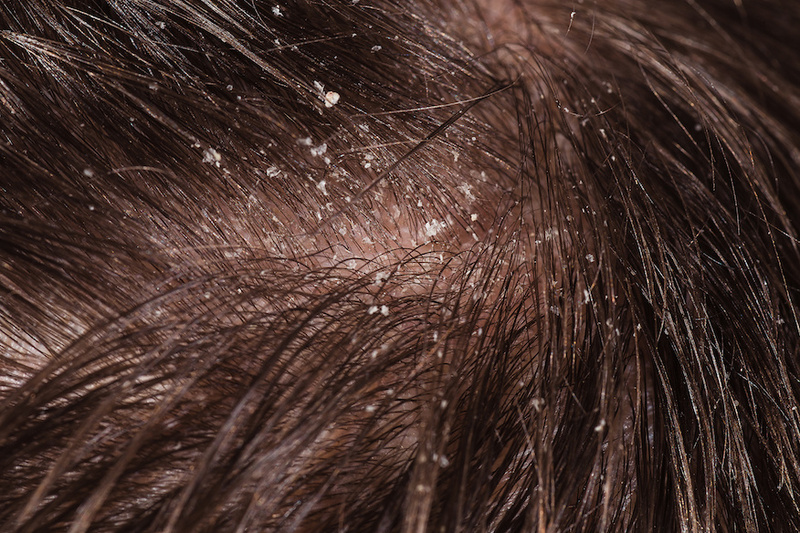 Why does dandruff plague certain people and not others? Can you treat it? Here, we get into the nitty-gritty of one of hair’s most annoying adversaries. I think I might have dandruff. What does it look like? You’ve probably seen that classic Head & Shoulders shampoo commercials where teensy white flakes mottle a black sweatshirt. But this is only half of the issue: Dandruff flakes can look oily and scaly and will appear to be yellow or white. 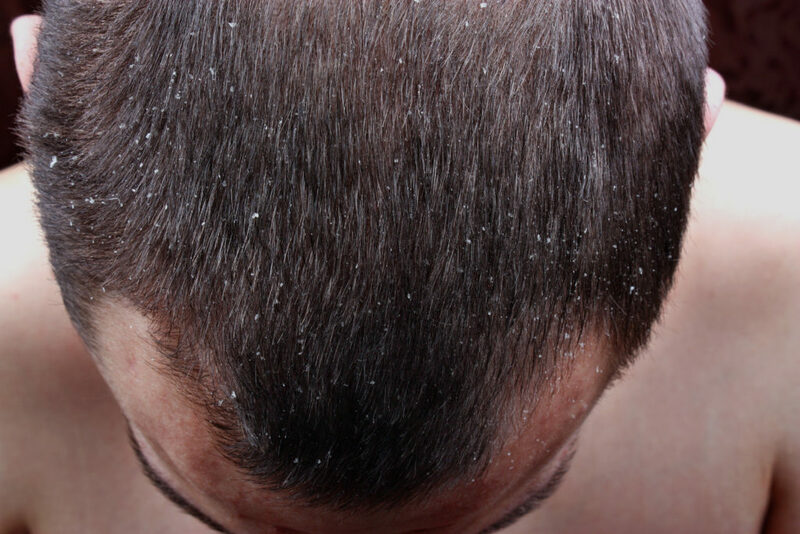 Chunks of dandruff can sit close to the scalp until they’re dislodged by brushing or scratching. You might also find that your scalp is itchy and, in more severe cases, red and inflamed. But why do I have dandruff? I wash my hair! Like so many of life’s unfair vexations, the causes of dandruff are various and often outside of our control. The most common cause of dandruff, seborrheic dermatitis, is a skin condition that causes a rash that scales over and flakes. 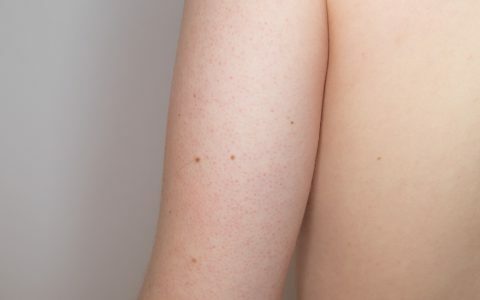 Seborrheic dermatitis tends to flare up in areas ripe with oil glands, meaning that dandruff could occur not only on your scalp, but also your eyebrows, nose, ears, groin, armpits and sternum. 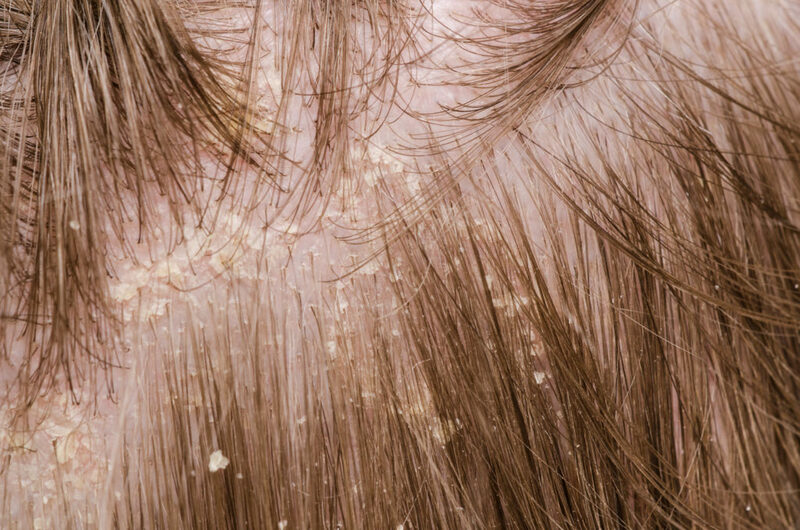 Malassezia, a yeast-like fungus that typically lives happily on most adults’ scalps, can disrupt some scalp environments (perhaps due to immune system issues) and cause an increase in skin cell growth. 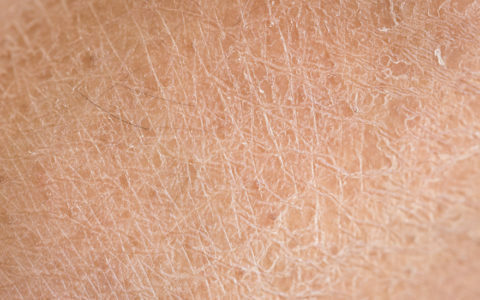 This overabundance of skin cells eventually turnover, and the dead cells flake off. If you experience sensitivities to ingredients and dyes in hair products, you could contract contact dermatitis, which, yes, causes scalps to become itchy, scaly and therefore flakey. Or, perhaps you simply have a thirsty scalp: Just as dry skin on any other part of your body would flake off, so too will a dry scalp, but it generally won’t be red, swollen or scaly. And — we have to say it — if you don’t regularly wash your hair, natural scalp oils and dead skin cells can build up and, yep, flake off. Cold weather often exacerbates dandruff no matter the root cause due to overuse of indoor heating, which further dries out skin. On the flip side, the warmer months often provide a brief respite from flaking. If you’re a man, you’re more susceptible to dandruff, though the causal link hasn’t been conclusively determined. Some researchers peg dandruff in males to hormones. Age also plays into dandruff’s emergence: The affliction tends to begin in young adulthood and stick around through middle age and, for some, all life long. If you have overactive oil glands, you’re also a prime candidate for dandruff — especially due to malassezia, which loves to feed on scalp oil. More seriously, people with compromised immune systems or certain neurological illnesses (think: Parkinson’s disease) are at a higher risk of dandruff, though researchers aren’t sure why. Babies, too, can experience scaly dandruff due to cradle cap, which typically clears up on its own. The good news: Dandruff isn’t contagious nor is it life-threatening. It’s simply a nuisance that can be embarrassing and, for some, psychologically draining. Also good news: Dandruff can be kept under control with the proper treatment. Mild cases can be managed with regular shampoo sessions, while more stubborn cases should be addressed with medicated shampoos that contain active ingredients like salicyclic acid, pyrithione zinc or selenium sulfide. You may find that you need to switch between different types of medicated shampoo for maximum efficacy. 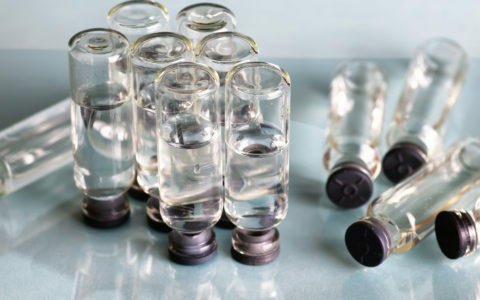 If you’re experiencing inflammation or redness or have exhausted all over-the-counter options, visit a dermatologist to determine whether a prescription shampoo or topical medication is in order. So my baby still has cradle cap, almost 1. We use head and shoulders is there something else I can use ? I use it twice a week. Should I try a selsum blue? I have seborrheic dermatatitas and have tried all the shampoos (over the counter and prescription) nothing seemed to make a difference. I have been religiously taking collogen peptides every morning since New Years and my scalp has been great, no flare ups? Is it the Collogen or just coincidence? Heather: After I googled it. I went and got over the counter shampoo in the baby section at Fred Meyer it came in a box with a soft brush. I would get my son’s hair wet applied the shampoo to my son’s hair and I would use the brush and go in ciruclure motion and it took my son’s cradle crap away pretty quick I kept using that until he had a decent amount of hair. Heather here is the name of the stuff I used Gentle Naturals Baby Therapeutics Baby Cradle Cap Treatment it comes with a soft brush. It worked for my son. I hope this was helpful to you.